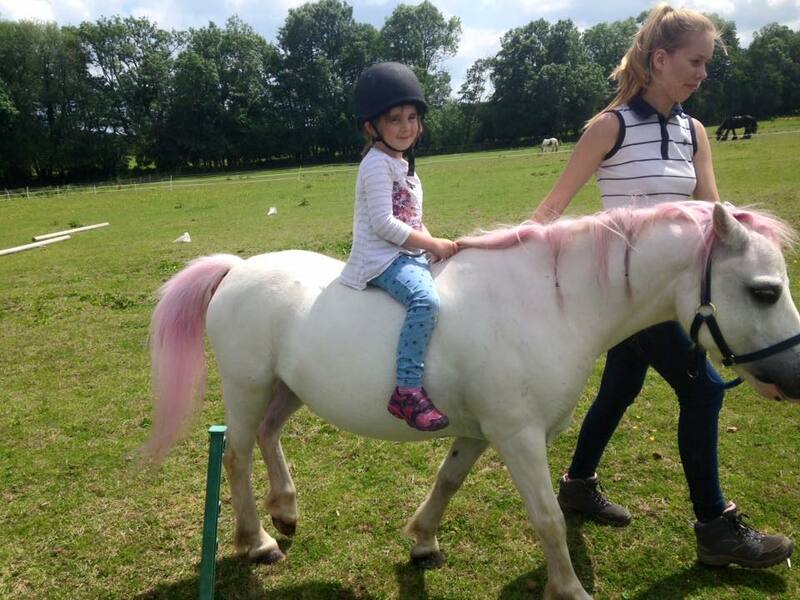 We specialise in pony parties and events large and small. 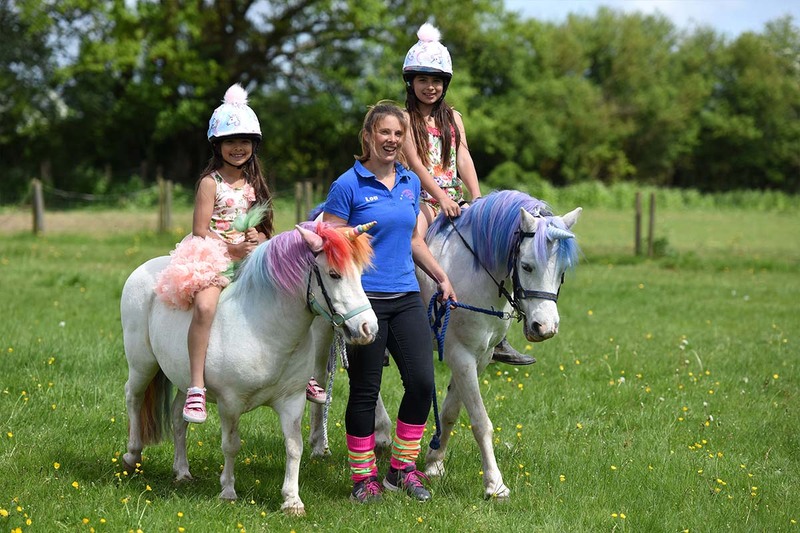 Whether it be for a birthday or our holiday fun days throughout the half terms, we provide a fun, friendly and safe environment for the children to interact and ride our ponies. 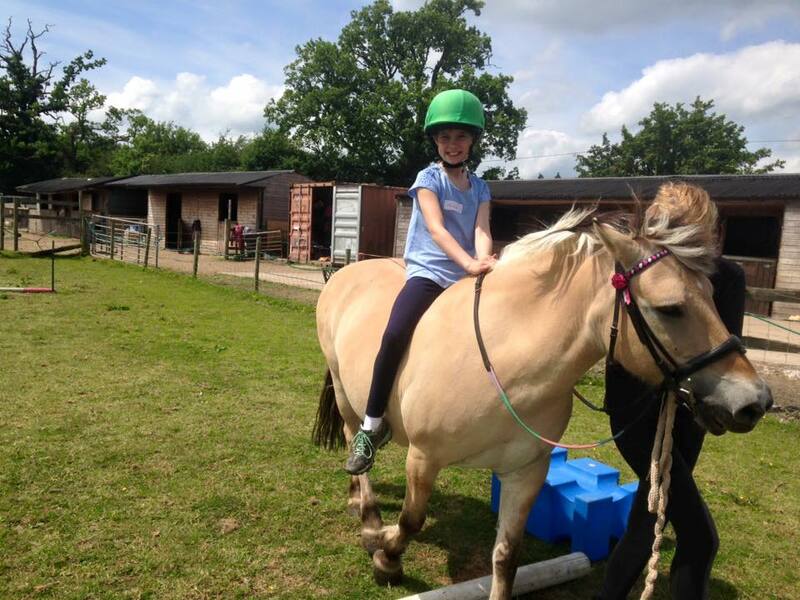 We are a small family run, privately owned stables set in a beautiful tranquil location. Our lifetime passion and enthusiasm for horses has now resulted in a hobby becoming a business. It all started when we got asked to take the ponies to our local school fete. The response was amazing, and watching the children’s (and parents) faces, seeing their eyes light up at the sight of a real pony and being able to ride it was really rewarding. Keep the magic alive, wether you believe or not our unicorns look amazing whatever your age! Arrange a special treat, visit and ride a real unicorn either at our stables or we can bring them to your home, venue or birthday party. Every half term we run themed group sessions. Some at our stables or various venues around Worcestershire. Something for everyone. For riders as young as 2 upward we have our tiny tots experiences. Hugely popular all day fun days. Woodland walks / woodland walks / ride and groom. 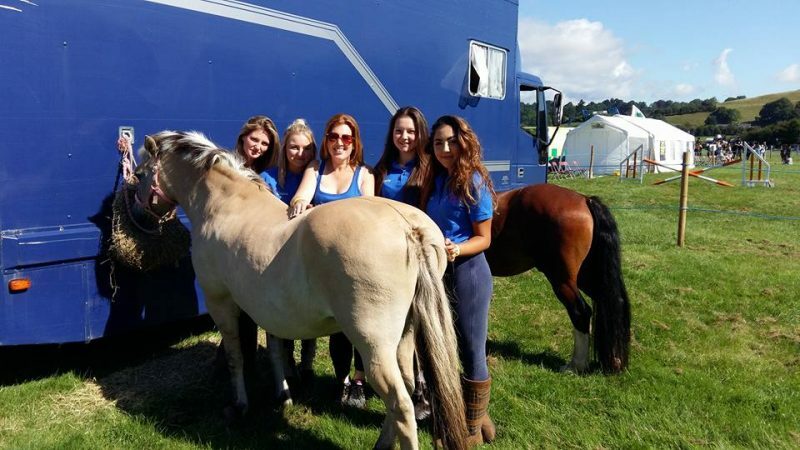 Boost interest in your fete, fair, event by inviting along our ponies to offer pony rides, or just a pet and a groom to bring out some smiles. We have many ponies so can cater for large events or small, just message us your requirements. GET SOCIAL THE LATEST FROM OUR INSTAGRAM FEED…. below shows a list of our up coming events…Some events require pre-booking. For full details please click on the individual events below or see our What’s On page. Pony rides do not require booking. Prices range but are generally around £3 per ride. Our all day fun sessions will need to be pre-booked. Just click on the individual event that you would like to book. Tiny Tots sessions will need to be pre-booked. Just click on the individual event that you would like to book. Woodland walks and special events will need to be pre-booked. Just click on the individual event that you would like to book. Magical Unicorn Visits are one of our most popular services that people can book at any time. 1 hour experience to ride and groom and take plenty of photos of your unicorn. One unicorn outside your home, great as birthday surprises! Your child will get to groom and decorate their unicorn as well as have a ride and plenty of photos!! We’ve just had a wonderful afternoon at pampered ponies for my daughters 6th birthday… the staff and the ponies are all lovely especially the owner Emily. Thank you for making it so special and we look forward to seeing you again soon!!! Absolutely brilliant, Emily and the rest of the team did an excellent job. 19 children for my daughters birthday party and everything was under control and organised and all the children loved it. Would highly recommend and we will be back! Thanks so much for a wonderful birthday 8th party on Saturday. Rosie and all her friends had an amazing time and so did the grownups! You successfully kept all of them engaged and entertained for 3 hours, with exciting, fun and challenging activities. Rosie won’t forget that birthday party in a hurry and neither will her friends. I’m sure we’ll be back ….. Thanks again and please pass on our thanks to your team and an extra pat for the ponies, who were amazing.